UltraFast T1 Wireless, headquartered in Barrie, Ontario is a wireless wholesale broadband network provider of high value, low cost, high speed lnternet access network services. UltraFast T1 Wireless deploys and operates last mile broadband networks in Simcoe County, with plans to expand to other market areas in 2012. Utilizing license-free spectrum, open-access architecture, and low-cost IP infrastructure, UltraFast T1 Wireless is able to provide robust, secure and symmetrical high-speed Internet access at much more cost-effective rates than traditional wireline carriers offering T-1 services. Ten bandwidth packages are available: 5.0Mbps service or less. No contract minimums are required. Speedy installation is a hallmark of UltraFast T1 Wireless customer service. Most installations can be completed in 3 days or less, and no installation, even when a roof permit is required, will take longer than two weeks. UltraFast T1 Wireless offers its products through its own network of distribution. Markets serviced include a broad spectrum of small-to-medium-sized businesses and SOHOs, especially those requiring high-bandwidth capabilities for rich data, audio, video and graphics applications. Proven best-of-breed partners bring unparalleled expertise and proficiency to UltraFast T1 Wireless, its distributors, and subscribers. We only use the best of brand products to bring internet "Where no man has gone before". UltraFast T1 Wireless, headquartered in Barrie, Ontario, was pioneered in June of 2001 with its test centre located on Anne St in Barrie to provide low-cost, high-speed wireless bandwidth to small, medium and large businesses. As a wholesale carrier, UltraFast T1 Wireless deploys and operates last mile broadband networks in Simcoe County, with plans to expand to other market areas in 2011. Affordability and speed of deployment are key competitive advantages. 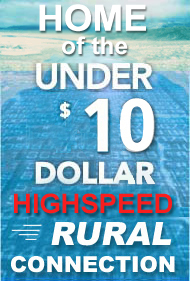 Utilizing license-free spectrum, open-access architecture, and low-cost IP infrastructure, UltraFast T1 Wireless is able to provide data access at a cost-per-Mbps significantly lower than traditional wireline carriers offering T-1 serviceswith data rate availability and upstream speeds far superior to that of cable or DSL. Its modular wireless architecture also gives UltraFast T1 Wireless the point-and-shoot flexibility to add additional radios, quickly and easily expanding capacity. The speed of subscriber-side deployment is far superior as well, with new installations up-and-running within 7 - 10 business days. Broadband growth in the past few years has been phenomenal. Internet traffic continues to grow at the astonishing rate of 200% annually. 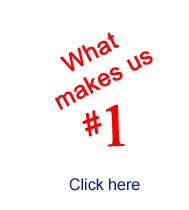 In the US alone, Internet users are estimated to include 42 million business users and 34 million households. Sales of digital devices requiring high-bandwidth capabilities are skyrocketing despite the current slowdown in the economy. And the growth of bandwidth-demanding rich media, streaming audio and video, graphic and database files, and ASP-hosted applications continues. Telecom providers have responded to the forecasted growth statistics by building out the nations long-range fiber networks. But the bottleneck has been the last mile access, and the inability of the existing copper wire infrastructure to carry compressed data at true broadband speeds to a high-enough percentage of businesses and homes. Wireline technologies that could potentially meet the bandwidth demands, such as cable modem and DSL networks, have many obstacles to overcome in order to reach success: the high cost of head-end upgrades, long lead times to deploy, and a complex, slow and arbitrary service delivery process. Low cost. Low monthly broadband access fees and no contract minimums allow distributors to offer significantly less expensive services to customers while maintaining higher margins. Fast installation. Installation takes only a few hours and is accomplished within seven days of service request by the customer,(assuming a favourable Line of Site, compared with 2-6 weeks to provision T-1 and DSL service. Superior customer service. Because UltraFast T1 Wireless owns and operates its own network we have direct control over network performance, installation support and network availability, allowing us to provide comprehensive and rigorous structural support to our distributors that far exceeds that of the traditional phone companies or LECs. We also become another resource to our distributors by providing training and literature that helps to educate their sales teams on how to sell the service. Close relationships with key strategic partners bring unparalleled expertise and stability to UltraFast T1 Wireless, its distributors, and subscribers. UltraFast T1 Wireless designed its network architecture, mapped its coverage plans, and maintains its operations with input from two major players in the wireless industry: Cisco Inc., Fleeman, Trango, White Radio and YDi Networks Inc. as well as excellent tech support on our backbone needs thru Primus, wholesalers in central Ontario. UltraFast T1 Wireless plans to be around for the exciting growth of broadband that is still to come by doing business the old-fashioned waykeeping its cost structure within very manageable boundaries and delivering the service that customers want, at prices they can afford. An experienced management team of wireless experts directs UltraFast T1 Wirelesss business vision. With strong backgrounds in wireless operations, engineer-ing and business management, the executive team has a proven success record in emerging markets, working with both direct and indirect channels. Founder Rob Smith is responsible for the vision, strategy and day-to-day operations management of the company. Well-equipped for the role, Smith has over 30 years in wireless & management experience, having held executive positions in marketing, sales, and operations for such notable pioneers as Barrie Internet, Rob Smith Consulting and Dr. Computer Logicks Walk in Clinicss Simcoe Counties Internet Cafes. Most recently, Smith held the positions of senior president of network operations at Drlogick's Internet Services, where he handled market planning as well as site acquisition and deployment of over 1000 accounts. Smith has been an entreprenuer since age 19. This guy brings his climbing experience to the team. Fearless and nimble, Jeff can climb the equivalent of the Cn tower on a warm summers day. Daily Jeff can be seen scaling towers somewhere in Simcoe County, up an average of 15 stories, backed up, of course, by his trusty steed, Safe T, Harness. His workmanship has pride in every step. An new face on the management team, Debbie came to us from a high volume car dealership in Toronto and her friendly face and great attitude is a daily pleasure and a creative spirit to the sales and accounting dept. Debbie also works as accounts manager for Drlogicks Internet Services, an internet service provider based in the Simcoe County market area.